elsewhere to match the Royal Forest of Dean. It is the 'Queen of Forests'. The ancient Royal Forest lies at the very heart of the district with the market towns of Coleford and Cinderford offering an insight into the industrial heritage and history of this fascinating area. The Forest of Dean was originally designated by the Saxons for hunting They's were the first people to realise its potential. Thereafter it became the hunting reserve of Kings for many hundreds of years to follow. 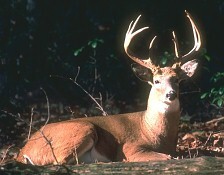 Many of the Dean’s ancient rights and privileges come from its unique heritage as a Royal Hunting Forest. The Norman kings loved to hunt deer and wild boar and they introduced Forest Law and officials called Verderers who were charged with looking after the animals and the woods they lived in. The Forest of Dean is one of the most fascinating regions of Britain nestling between the Wye Valley, the Vale of Leadon and the Severn Vale. Its relative isolation created by the valleys of two great tidal rivers, the Severn "known widely for the Severn Bore" and the Wye, together with its hilly terrain have helped preservea pattern of land use, culture and heritage unlikeanywhere else in the whole of England . The Royal Forest occupies an area of 204 square miles in the western part of Gloucestershire.The 20 million trees that cover the Royal Forest of Dean include oak, beech, ash, birch and holly trees. People who live in and around the Forest are known as Foresters. The areas name is derived from one of the primeval forests of England.In 1939 the woodland area became the first park in England to be designated as a national forest.One of the remaining Royal Forests in England. The Forest of Dean, bordered on the southeast by the River Severn and on the southwest by the River Wye, which forms most of the border with Wales is one of the most distinctive areas of Britain having a seductive charm and character that is uniquely its own. The stunning landscapes and spectacular scenery have inspired artists, craftspeople, inventors, poets and playwrights, as well as the many visitors who return year after year. Arrive at the forest in April and May to enjoy the magnificent rhododendrons, azaleas and flowering shrubs at Lydney park Spring Gardens, where you can also view some of the best Roman remains in Britain, including a Roman Temple. May is also the time of year when the woodlands transform themselves into a soft carpet of bluebells. the heady smell combined with the visual feast, never fails to draw visitors, photographers and artists to the wooded areas such as Soudley . Arrive in the summer and celebrate the beauty with a cruise along the river Wye from Symonds Yat or visit the nearby Yat rock and watch the Peregrine Falcons, which have been nesting successfully for the last 20 years under the watchful eye of the Royal Society for the Protection of Birds (RSPB). The forest is at its best in the autumn when the majestic oaks, beeches and larches turn golden and russet and forest forays will reveal autumn fruits, fungi and berries. a great time to enjoy walks around the Sculpture Trail and visit the Cyril Hart Arboretum near Speech House, which has over 200 varieties of trees. 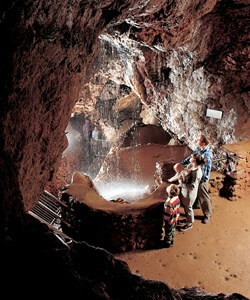 The Royal Forest of Dean is also home to Clearwell Caves. A unique iron mining museum that has an impressive system of underground caverns that date back to the beginning of the bronze age. The Forest is home to Puzzle Wood which contains pre-Roman open cast iron workings and a maze covering 14 acres of pathways and rock ravines,with secret passages and hidden doorways. The Forest has its own museum that houses a collection of artifacts that illustrates the historical importance of the area. 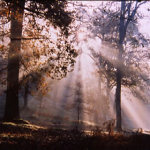 The Forest of Dean is believed to have connections with author JJR Tolkien. Some believe the time he spent at Lydney Park Estate gave him the inspiration for the Lord of the Rings trilogy. Author JK Rowling (of Harry Potter fame) moved to Tutshill near Chepstow, at the age of nine, and her family still live there. 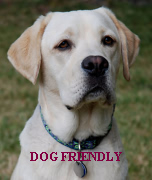 There are many other attractions to keep visitors and tourists to the forest busy, you could also take part in deer safaris, autumn tints walks or fungal foray's all organised by the Forestry commission. The Golden mile on the Forest of Dean Route is situated between Wenchford picnic site and the Dean Heritage Centre in Soudley and is the ‘must see’ highlight of the forest for the autumn months when the whole area is a riot of colour. If you plan your vacation to coincide with the autumn or spring equinox when the tides are at they’re highest, the amazing natural phenomenon of the Severn Bore will be at its most impressive. The Bore, a large wall of water up to 12 feet high, travels up the Severn with the incoming tide at up to 20 miles an hour. Visit in the winter and discover new horizons and viewpoints in a forest without leaves, your eyes can travel up to trace the majestic deciduous forms against the cold sky. The trees that were a background riot of colour in the autumn suddenly come into their own. Without its canopy, the forest even in the depths of winter is light and welcoming.